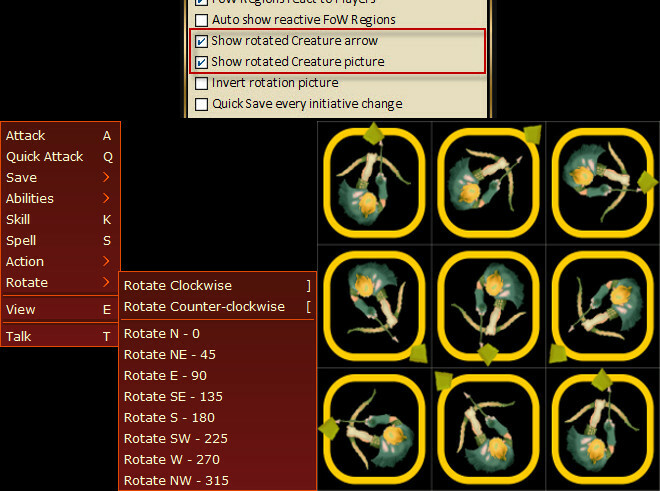 If your game system requires facing (or your GM requires facing), you can utilize the following Shortcut Keys [ & ] or the Right-Click Menu->Rotate to accomplish this task. Make sure the Creature/Token is selected prior to using the keyboard command. In Options->GM make sure to toggle either or both.